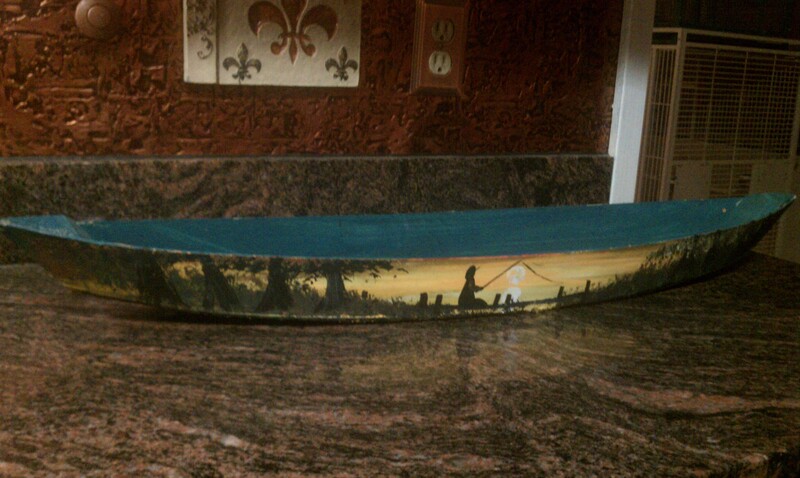 (Cajun Boats) – 5′ Handmade wooden boat, beautifully painted with Cajun scenes by our favorite artist. Very durable and painted with acrylic paint that can be easily cleaned. 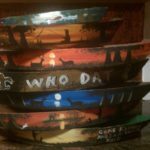 Pirogues (Cajun Boats) – 5′ Handmade wooden boats, beautifully painted with Cajun scenes by our favorite artist. Very durable and painted with acrylic paint that can be easily cleaned. Various sizes and colors. 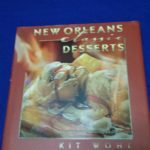 Usually has, “Louisiana” across the back side BUT we do take custom orders. 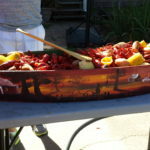 These are big sellers around here…especially during CRAWFISH SEASON!